I saw a photo of these delicious eggs and had to try them! They are so creamy and delicious I definitely recommend spending the time on making this delicious breakfast! 2. Cut open avocado and take out the pit. 3. 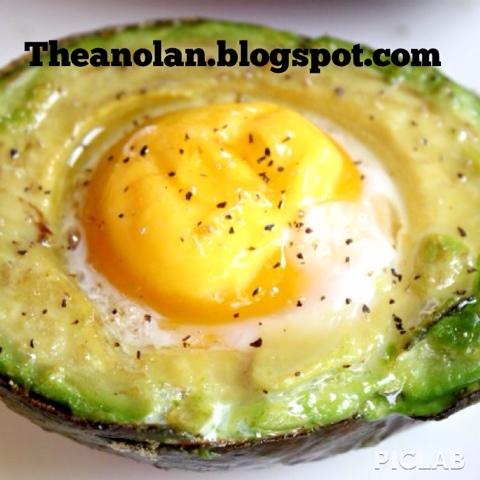 Crack one egg in to the groove of 1/2 of the avocado, and do the same for the other 1/2. 4. On baking sheet place the avocado's with the eggs and add your spices. 5. Bake for 13-15 minutes.